When my husband was designing our home I was blown away by all the closets and storage he added. I debated why we would need all the closets and what I would place in them. Well, three years later and I am shocked at how full the closets are. The storage closet in our hall comes to mind. This is a catch all for files, school papers, gifts, craft projects, extra books – you name it. Everyone in the family seems to gravitate to the closet to deposit items he or she doesn’t want to let go of, but can’t seem to find any real place for it. 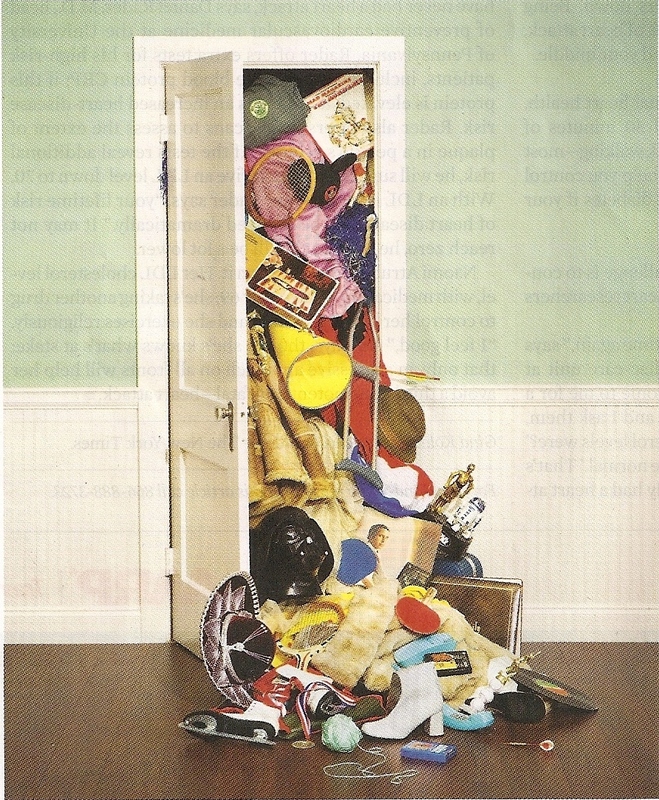 Therefore, the closet quickly becomes a disaster – busting at the seams and no real organization. It is no longer functional because it is so jam-packed that the location of any one item is no longer recognizable. This is when I am faced with the daunting task of clearing it out. I go through the items cluttering up my closet and prioritize what goes and what stays. The result is a fully functional space with extra “white space”, if you will. With the holidays right around the corner, if left unchecked my schedule becomes just like my hall closet. I begin to put parties, community events, school programs and family functions on my calendar. Then, I add in cleaning, decorating and baking. If I am not careful my time is gone and I didn’t even allow any time with God. Like any relationship, time with God is so important. I would be willing to bet you wouldn’t dream of putting other relationships on hold for the holidays, so why do we with God. You and I must make this time a priority, schedule it into your day and then guard it. See your time with God as the precious “white space” in my closet. This allows room for the relationship to grow as you enter this hectic time. Don’t fall victim to the attage, “more is better”, focus instead on Christ this season and see how enjoyable and relaxing it is for you and your family. I challenge you today to sit down and look at your daily schedule and commit a time with God. If you need to, print off a daily schedule and make certain to incorporate God into your day. Dear Heavenly Father, I come to You today drowning in a sea of to-dos. The last thing I want to do is let our relationship be put on a shelf until the new year when things slow down. I ask You to help me reevaluate my schedule, putting You first and foremost. I long to enjoy this holiday season with You at the forefront instead of going and doing. In Your Precious Name, Amen. Jamy great post. I, too find those closets and my kitchen cabinets which had sooooo much space are now crammed. Working frantically during this summer break to get organized.